Bajirao is a suspension concentrate insecticide, a mixture of Indoxacarb 14.5% + Acetamiprid 7.7% SC (a.i.). 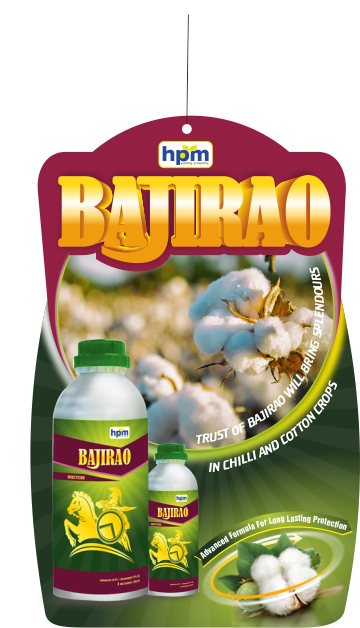 It is used for the control of jassids, white fly & bollworm on cotton and thrips & fruit borer on chilies. Indoxacarb acts on the sodium channel of nervous system resulting paralysis and death of the insects. Acetamiprid causes hyper-excitation to causes lethargy and paralysis to insect. Bajirao is available in 250ml, 500 ml and 1 lit pack sizes. Indoxacarb blocks sodium channel in nerve cells. 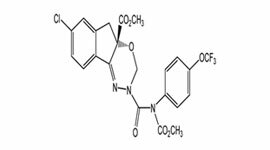 Acetamiprid is agonist of nicotinic acetylcholine receptor, affecting the synapses in the insect central nervous system. Indoxacarb insecticide active by contact and ingestion, Affected insects cease feeding, with poor co-ordination, paralysis and ultimately death. 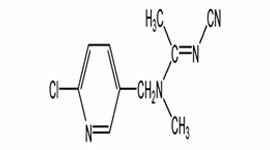 Acetamiprid is systemic insecticide with translaminar activity with contact and stomach action. It is a suspension concentrate insecticide, a mixture of Indoxacarb 14.5% + Acetamiprid 7.7% SC (a.i. ).